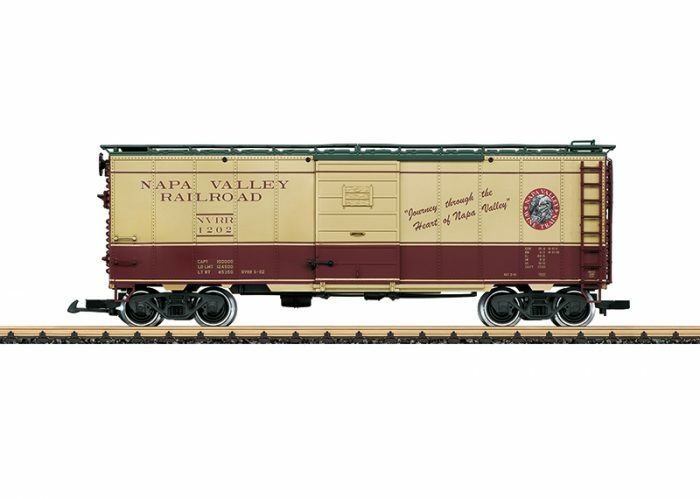 This is a model of a boxcar as still used in the famous Napa Valley Railroad Wine Train. The car has many separately applied details and the side doors can be opened. The car has metal wheel sets. This is a model of a boxcar as still used in the famous Napa Valley Railroad Wine Train. The paint scheme and lettering are prototypical for Era VI. 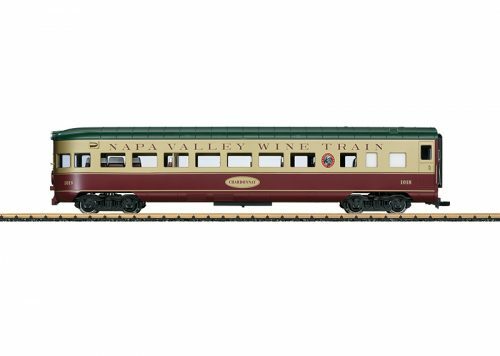 The car has many separately applied details and the side doors can be opened. The car has metal wheel sets. Length over the couplers 46 cm / 18-1/8″.